Appearance: Blue Sky marble is unique and unsurpassed in terms of colour background of shades of blue. Very light blue, grey and white hues appear across the surface. In a honed finish these movements and markings are very subtle, but the surface tight and compact. It is truly a beautiful material that is perfect for all architectural styles, from classical to contemporary, standing the test of time. Properties: Blue Sky is a hard, durable and frost-resistance marble. Like most natural stone, colour variations and and movement might occur. These are part of its beauty. It is recommended to seal it to extend its longevity. 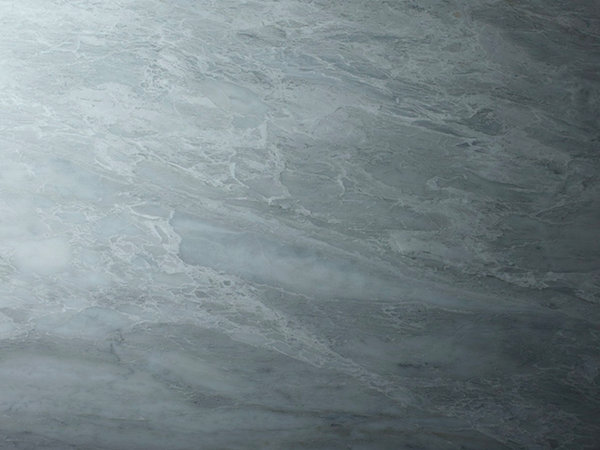 Use: Due to its good wear resistance and properties, this natural stone is suitable for internal and external applications, including floors, walls, surfaces and bespoke stonework within both domestic and public environments. Formats: Tiles (600x600x20mm), slabs (20 and 30mm thick) and cut-to-size. Finishes: Polished, honed and waterJet.